Major issues which should not be ignored! There are five categories of potentially significant matters: plumbing, HVAC, roofing, foundation and electrical. These five items are core functions of the structure. These can be what we call possible "deal breaker" items and they should always be remedied by a seller before a buyer closing on a home. In no way am I advising you to skip or ignore significant issues. 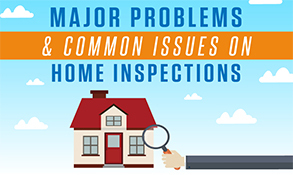 If a substantial problem involving one of the items above is found on your inspection report, talk to your agent immediately about how to remedy the issue or cancel the contract. Not all of the major problems should cause you to terminate a deal, but they should cause you some concern about repairing the issues before taking possession of a home. I usually advise my clients to negotiate for money in place of repairs. However, when significant problems are discovered during the inspection, there is no way to estimate how much a considerable issue might cost. Therefore, it is better (in these cases) to negotiate that the seller remedies these items before closing. Also, significant problems should be repaired by licensed/qualified providers, and receipts should be provided for the work to the buyer before closing. Significant issues to plumbing include but are not limited to the following: slab leaks. A slab leak occurs when a pipe embedded within the slab foundation is leaking. A professional plumber will have to first find the leak. After the leak is detected, and if the leak is located in a concrete slab foundation, the plumber will have to either dig a trench under the home to repair the leak or break out the slab foundation to get to the leak. This is a significant problem! Another major problem that can arise on a home inspection for plumbing is backed-up lines. Backed up plumbing lines, which are discovered by slow drains in the sinks and bathtubs, can lead to a flood and extensive damages to a home. Plumbing issues are the first of our major possible problems a home inspector might find during his investigation. Electrical issues on a home inspection report can include things like faulty wiring, old wiring, bad junction box connections, spliced wiring, and faulty electrical panels. On older homes built around the 1940s to 1960s, home inspectors will find a lot of Federal Pacific electrical panels still in use. These panels have been known to be the cause of fires in homes. Inspectors will always point out a Federal Pacific Panel (also called FPE for Federal Pacific Electric). During the time these panels were initially installed, most local codes allowed them to be installed in a closet of a home. Law has since changed (at least here locally) and now requires that the electrical panels be installed in a garage our on an outside wall. With the fact that a Federal Pacific Panel might still be in use, and the fact that code has changed as to the proper location of the panel, you can see where the replacement and relocation of a panel box could get expensive for a buyer. Also note that if a Federal Pacific Panel is still in use, there is a good chance that the home's wiring associated with the panel is also against the current code. Therefore, there is a good possibility that rewiring the house may also be required. The Federal Pacific Panel is not the only possible electrical issue, but it is one of the biggest in a large number of homes constructed in the period mentioned above. As modern people, we often state that we cannot live without our heat and air conditioning. During your home inspection, the inspector will visually check the units and the furnace. Common issues will be rusted pans, clogged drain lines, not enough walkway space to and around the units, dirty filters, etc. However, to test the unit's efficiency, the inspector will check what is called the temperature differential. Significant gaps in temperature differential can signal a potentially major problem to the HVAC system. If a significant temperature differential is noted, be sure to immediately speak with your agent about the seller having a qualified HVAC professional diagnose the possible issues. 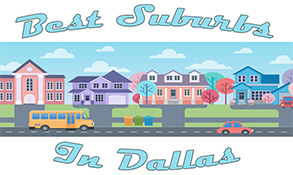 As I am only licensed in Texas and, more specifically, just practice in the North Texas area, my opinions on significant foundation issues will are formed around my knowledge of homes in my area. However, structural support and design will mostly fit all areas. There are two types of foundations found in North Texas (and I'd guess most other places) - the pier and beam foundation and the slab (concrete) foundation. In North Texas, we have clay soil which expands and contracts with moisture (rain). The contraction and expansion in the earth under a home causes the house to settle, shift and potentially move. According to most structural engineers and home inspectors, the pier and beam foundation is better suited to deal with movement caused by the soil. Unfortunately, the pier and beam will mostly be found in homes built in the 1970's and older because installing this type of foundation is both labor intensive and expensive for builders. Because of this, today's new homes are mostly constructed on slab foundations. Major Pier and Beam foundation issues - the piers are no longer touching the support beams; the support beams have shifted to the point where they are no longer level with the beams; the beams/piers have rotted over time due to moisture under the home caused by time (years of rains), or a leak. A water leak can destroy the piers and beams which are almost always constructed from treated wood. Significant Concrete Slab foundation problems - one major issue with slab foundations are cracking. If left untreated for a long enough period, movement can cause a slab foundation to crack under the home. Unlike a pier and beam structure which uses a system of connecting all the piers and beams, a slab is one solid block of concrete. Concrete, while solid, doesn't flex or give much without breaking. 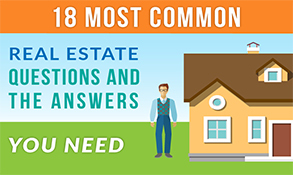 If there are any signs of the following concerns: sloping floors, difficulty opening, and closing windows, doors not latching correctly, separation of brick from home, large sections of missing mortar from the brick, etc., then ask your home inspector more in-depth questions about your worries. If anything feels outside your reasonable comfort level, or you want to be safe, you need to schedule a structural engineer to inspect the home before purchasing. A roof can be a significant issue and possible expense for a buyer. There will be typical issues with a roof that we will discuss below. And a few minor issues on a roof are perfectly reasonable. So what is not normal? Evidence of prior leaks is not typical and they are usually discovered by the inspector on what we call the "decking" of the roof. The decking is the plywood layer of roofing to which the felt and shingles are attached. You (and your inspector) can visually inspect the decking from the attic where the underside of the plywood will be exposed. Large water spots, dark areas, and rotted plywood will be evidence of a prior leak. If you see visual evidence of a previous leak, I'd highly suggest having your agent do some investigating by asking the current owner if (a) they are aware of the leak; and, (b) the leak has been repaired. Another thing that is not normal in roofing is missing sections of shingles. I'm not talking about one or two shingles here and there. I'm talking about large parts missing from the roof. As a buyer, you will most likely not be climbing on the roof to inspect the shingles. This is where your home inspector is vital. Most home inspectors do one of two things to examine a roof - (1) they will physically climb onto the roof and "walk it" to inspect its condition. Or, (2) they will position and climb ladders to where they can visually inspect the condition of the roof through binoculars. Personally, I would rather the inspector "walk" the roof. I think it provides more of a comprehensive inspection. But, visually inspecting through binoculars seems to be almost as good from my experience. If significant and major roofing issues are discovered, have your agent alert the seller's broker. A bad roof is something any buyer will want to repaired before taking possession of the home. (1) Home inspectors will find things wrong with every home. Why? Because you're typically paying them about .10 per square foot for the inspection. Meaning, if you are buying a 3,000 square foot home, you may expect to pay around $300 for your home inspection. Some inspectors are higher in pricing, and some are lower. But, be careful when you hire a discount inspector. The adage of "you get what you pay for" absolutely applies to home inspections as well. So, in our example, a home inspector is charging you $300 to inspect your new home. If an inspector spends 3 hours at the home and then tells you there is absolutely nothing wrong with the house, you aren't going to trust their professionalism or that he did a thorough job looking over your home. Plus, every home has something wrong ranging from severe problems to pretty insignificant issues. Even new construction homes have problems. Advice - if you hire an inspector and he tells you nothing is wrong with the house, you may want to get a second opinion from another inspector. In 10+ years of real estate, I've never seen a perfect home inspection. Remember how I said they average 25 or so pages? How can nothing be wrong in 25+ pages? (2) Home inspectors also take on quite a significant amount of liability when they inspect a home. If a home inspector misses something substantial like a water leak, you buy the house, the home floods due to the inspector's negligence of missing the major water leak, guess who is getting sued? That's right, the inspector. So, to cover their behinds, inspectors will (intelligently) note every issue they find on a home, whether it is major or very minor. They will record everything from a loose toilet screw to a leaky faucet to a step missing on the front porch to minimize their liability. If they fail to note something as small as a broken step on the front porch and grandpa falls off the porch due to the faulty step, guess who gets sued? That's right, the home inspector! Now you will have a little background as to why your report will cover so many issues, problems, recommendations, tips and be longer than you ever expected a report to be about a home. 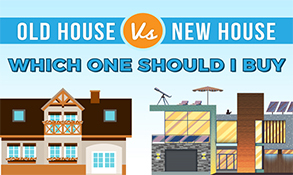 Honestly, it can be pretty interesting reading when it comes to learning about your new home, its structural components, working systems and how your home is put together. I'd advise you to read it beginning to end when you get it. The soil height around the foundation of the home will not be the correct height. It doesn't matter if the soil is 2" around the foundation or 12" tall around the foundation, the height will not be correct to the inspector. I've never seen an inspector say the soil level around the foundation is the correct height. Hell, I don't even know what the correct height is supposed to be. However, I can tell you that it will be noted in your inspection report. If you're buying a pre-owned home, get ready because the GFCI outlets will NOT be up to current building code. The local code on GFCI outlets seems to change as much as gas prices at the pump. Again, I've never seen a preowned home live up to current building code with regards to its GFCI outlets. The outlets not being up to current code doesn't mean the seller has to rectify the situation. The home will be "grandfathered" into the correct code for when the home was constructed. This means that if the home was constructed today, the GFCI outlets wouldn't meet current code. In case you don't know, GFCI outlets are the ones required in a wet area and will cause the breaker to trip with the slightest detection of water. These outlets save lives in kitchens and bathrooms. 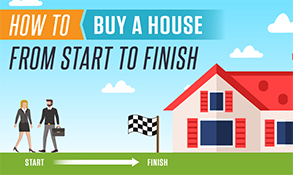 But, I can promise you that the home your buying will not be up to current code with its GFCIs. I included a #9.5 and a #9 because both of these issues are code issues. Smoke detectors are now required to be in every bedroom in the State of Texas. 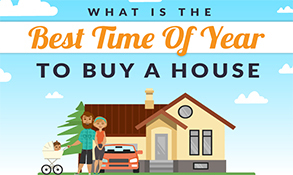 This one is probably a good point to remedy after you purchase the home. Smoke detectors do save lives and having them in every bedroom is a good rule of thumb. Again, this isn't something the owner must fix. And, truthfully, I'd rather go to the hardware store and buy my smoke detectors since I can get them with carbon monoxide features built into the same unit. If you make a seller fix this issue, you can rest assured they will do it as cheaply as possible. Get your smoke and carbon monoxide detectors when you go to the hardware store for the other things on this list. You've seen them. You probably have one or two in your own home. No matter how much you clean and scrub these windows, they still have a "fogged" appearance. This issue stems from the double panes of glass with inert gasses (mostly argon) in between the panes which insulate both the windows and your home. The gasses are sealed between the panes by a seal. Over the years, the seals eventually break down and succumb to the elements which allow moisture to begin to enter the space between the panes. This is when fogging will occur. You can read more about this at Pella's website. I bet it hasn't been on the top of your repair list for your home. And, it won't be for a seller either. Expect some foggy windows. Exterior doors take a beating from mother nature. Fully expect there to be some wood rot around exterior doors, windows and your garage door frame. Wood rot is evidenced by the coat of paint peeling (usually near the ground) and the surface of the wood being exposed to the elements. If you ever have seen any rotten wood, you'll easily be able to identify what the inspector is talking about when he shows you the wood rot. This is a prevalent issue. Wood rots. Expect this to be noted in your inspection report. This one is a prevalent one here in Texas. Even if the HVAC is performing correctly on inspection day, I've never not seen an inspector recommend getting it serviced. This is big CYA inspectors use in this part of the country because as modern humans, we enjoy our cold AC and warm heat. 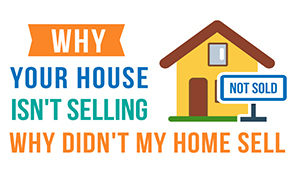 If your system gives you problems right after you purchase the home, guess who you are blaming? Yep, the inspector. I swear this is an item inspectors mark as needing repair or servicing before they even arrive at the home for the inspection. You'll see this item marked...I guarantee it. Each roof has thousands of nails which secure the roof to the decking and the decking to the framing of the home. You'll have some missing and loose nails. I guess that the seller never even knew any of the nails were loose. However, if the seller did know there were some loose nails, I can almost guarantee you that he or she never climbed onto the roof to remedy the issue. You live with loose roof nails on your home, so did the seller. A handyman can make this repair. Don't stress about some loose nails on your roof. Sprinkler heads take a lot of abuse from kids running over them in the yard to mower blades hitting them when mowing, to just being stuck in the ground. I promise there will be some broken sprinkler heads. I think they cost about $4 at the local hardware store and they simply screw off the threaded PVC pipe in the ground. They are a very easy fix and you do not need a handyman to fix these. This is about as easy of a DIY project as you will find. I've never quite figured out why we have window screens in Texas. But we do and they'll need repairing or replacing. You'll probably even find that some of your windows are missing their screens. Where these screens go is something I've never quite solved. At any rate, there will be missing screens, broken screens and screens which are bent and no longer fit the window correctly. Again, here in Texas it is usually hot and I cannot remember the last time I opened a window to let in "nice" hot breeze. I wouldn't worry about window screens but this is your call. In any event, get ready to read about missing window screens. This one drives inspectors mad. In the old days, builders would simply vent the bathroom exhaust fan into the attic. However, we now need special vents to vent to the exterior of the home as opposed to the attic. Modern code says that venting to the attic will cause the moisture from the bathroom shower to collect in the attic and could cause wood rot for the raw framing. I guess in theory this is right. However, I've never seen a home where the exhaust fan has caused major issues in the attic. Honestly, most people never correct this issue. This one is up to you. #1 - Caulk, Caulk & More Caulk! Get ready because you're going to need a gallon of it when the inspector is finished looking at your new home! Caulk can help seal the weather out of your home, and inspectors love this product. They'll want you to caulk around windows, doors, bathtubs, showers, counters, backsplashes, your kids, the dog, the Christmas Tree... OK, so maybe not the kids, dog or Christmas Tree, but they will want you to caulk just about everything else in the home. I'm not kidding! After you get your home inspection report, you may email me and tell me I was right about the caulk. Caulk comes in at #1 because, well, you'll see. The following items received an honorable mention but did not make the top 10: leaky faucets and dripping exterior hose bibs; dirty chimneys needed cleaning; broken doorbells; door handle needs to be reset to allow for proper latching and slow draining sinks or bathtubs. *Update - Thanks to an inspector friend of mine, he let me know that I had missed (and admittedly, I did) the anti-tip device on the range or stove. Great call, Greg! "Las Vegas doesn't have some issues that are common in other States. We don't have radon. Termites exist here but they're rare. The most common issues we uncover at inspections are easy to fix but not fixing them can be costly. Most common finding at a home inspection is dirty filters in the HVAC system. The climate here is dusty. Most inspectors recommend changing the filters monthly. Not changing them will add to the energy costs and shorten the lives of the equipment. I would guess 8 out of 10 home inspections find filters that need changing. Some brands advertise that the filters will last three months. Before buying them you should consider whether you will remember every three months. It may be easier to remember as a monthly routine. The other item we find is irrigation that isn't insulated. Las Vegas doesn't have the kind of harsh Winters that cause pipes to freeze and burst. We do get those occasional nights where the temps drop below freezing. Half of our inspections include a reminder to insulate the anti-siphon valves. Cover the outdoor faucets as well. You can pick up insulated covers for them at most hardware stores." Buyer’s need to be on the look out for issues that catch their eye when they are walking through the home. Those issues should be discussed with the home inspector to ensure the home inspector looks at the issue and so that the buyer can get a good understanding of the situation. 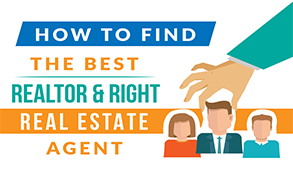 If the issues are minor ones that can be easily and cheaply fixed then it may be in the buyers best interest to ignore these issues and get them fixed after you close on the house, as bringing up issues to be fixed does give the sellers a way to get out of the contract if they don’t want to make the repairs. 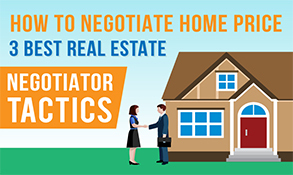 Why might a seller want to back out of a deal? Maybe they have changed their mind about selling, or in a hot sellers market they already have another buyer willing to offer more in case the first offer to purchase falls through. Where there are major issues like bad HVAC, bad foundation or more, those problems need to be brought to the attention of the seller and repair requests be made if you still want the home. 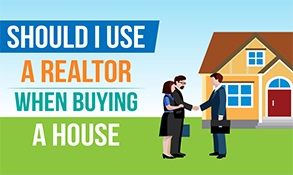 If those issues are more than you bargained for then you might want to talk to your real estate agent about your options for canceling the offer to purchase and looking for another home. With a home inspection report, it is possible that major repairs are uncovered. However, our experience has shown that the majority of items revealed in a report can be fixed with a bit of elbow grease and time. Here are a couple examples of common items that can be fixed without excessive expenses. Electronic motion sensor for garage door is at the wrong height – Garage doors come equipped with an electronic motion detector placed at the entrance of the garage. These motion-sensing devices will stop the door from closing in order to protect harm to pets and children. Often times the sensors are placed about a foot off the ground. However, they are intended to be at 6 inches or lower. Oven missing anti-tipping stops – There is a federal regulation aimed at preventing accidents in the home involving ovens. Anti-tipping stops (or legs) are supposed to be installed on the bottom of all stoves/ovens in order to block a major accident in the event a child tries to climb on the appliance. The legs are easily installed and can be easily sourced from a local appliance parts store. In the case that the needed repairs are more than $5,000 it could be time to consider using an FHA 203k mortgage. 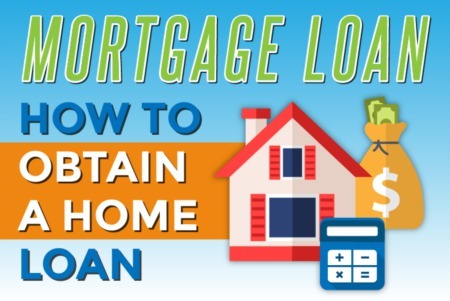 This loan allows the borrower to get enough money to purchase the home as well as funds to pay for major repairs and renovations. For borrowers with good credit scores, or an investment property, the Fannie Mae Homestyle mortgage could be a better fit. 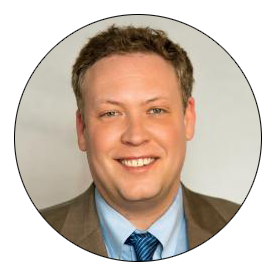 Ryan Fitzgerald is a Realtor specializing in the Raleigh, North Carolina market. For anyone who is moving to Raleigh, North Carolina from another state, say the northeast, they may have a different set of your typical home inspection problems that show up on the report. The roof was always a huge concern when I lived up North because of the heavy snow falls that happened. In Raleigh, it’s entirely different since the typical snowfall is less than ten inches per season here. What is worrisome in Raleigh, is the sun. The heat, and humidity can often cause problems with the roof and shingles. Whether it’s the shingles blistering or ‘fungal growth’ (mold). Both are problems that will often show up. Along with the roof, you should be worried about termites. Termites are prevalent in Raleigh, and whether you’re buying or selling real estate in Raleigh you’ll want to be sure you inspect the house for termites. The most common types of termites in Raleigh are Eastern Subterranean Termites, which are found in 75% of the country, and West Indian Powderpost Termites, found along the east coast from Virginia to Florida. You can learn more about the different types of termites here. Karen Highland is a top Frederick Md Realtor. Over the years we've seen a few real estate transactions fall apart after buyers find surprises in a home inspection. Most of the time, it's really a shame because apart from major items, most things can be fixed. More times than not, buyers and sellers get overly alarmed by items we in the real estate industry see over and over. This is very often a matter of having the right expectations. 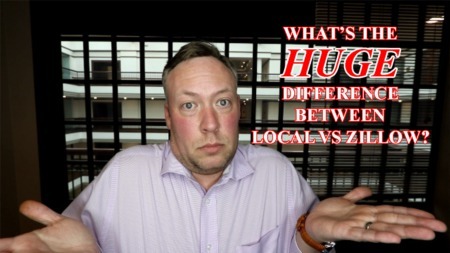 One of the things a buyer can do to set their expectations right is to understand what is the norm for their area of the country. We sell homes in the Washington DC metropolitan area, a very transient part of the country. We've helped people move from all over the country, and we've seen a lot of different issues come up to surprise buyers. One issue that comes to mind is termites. In Maryland, it's very common for an inspector to find termite damage, whether the termites are currently active or no longer active. If active, they are treated and we move on to settlement. If they are no longer active, usually there is no real damage and we just shrug and move on to settlement. Once we had buyers from Texas write a contract on a house. When the inspector found evidence of previous termite activity, though no longer active, the buyers FREAKED out. They wanted out of the deal and were in a panicked state! After a little bit of Internet searching, we discovered that there is a huge difference between Texas termites and Maryland termites...everything really is bigger in Texas! Bigger termites and bigger damage. After explaining the difference to our buyers we sent them to the University of Maryland Extension Service website to read their research. They calmed down with their new understanding and we went on to settle on their new home. 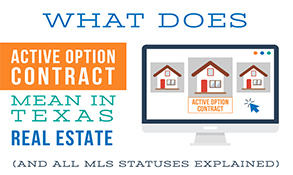 Since then, we're always interested in what the norms are in the buyers previous home state. Like so many issues in real estate, expectations are everything.